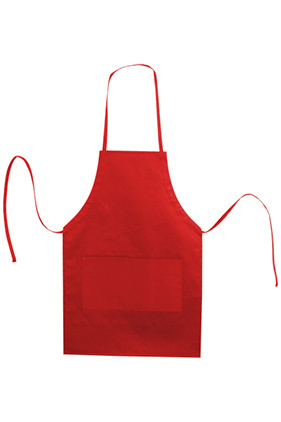 65% cotton/35% polyester 9 ounce extra soft full length twill apron with adjustable neck loop. Twin front pockets. Pencil slot.